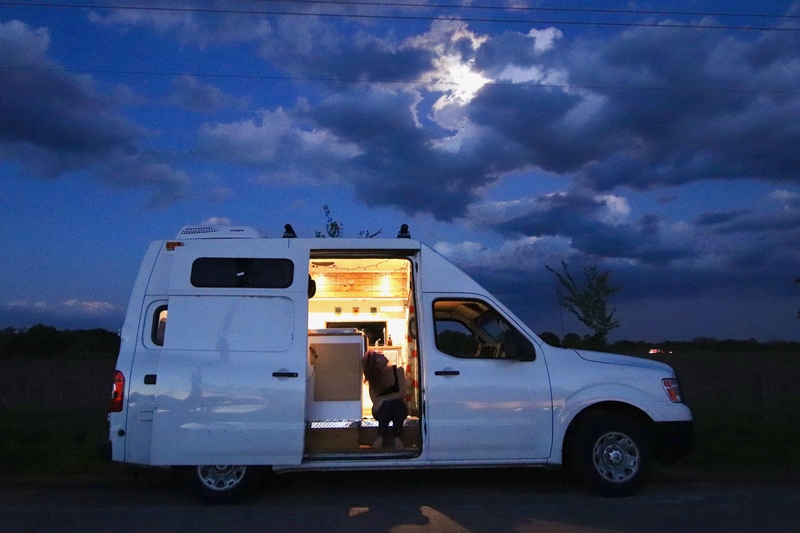 I connected with Kathleen with Tiny House, Tiny Footprint because of the similarities of our vanlife stories. I’m incredibly grateful for authentic, caring, and supportive people like Kathleen! She published a feature of my story: Lessons from Solo Female Traveling. Here’s a preview. 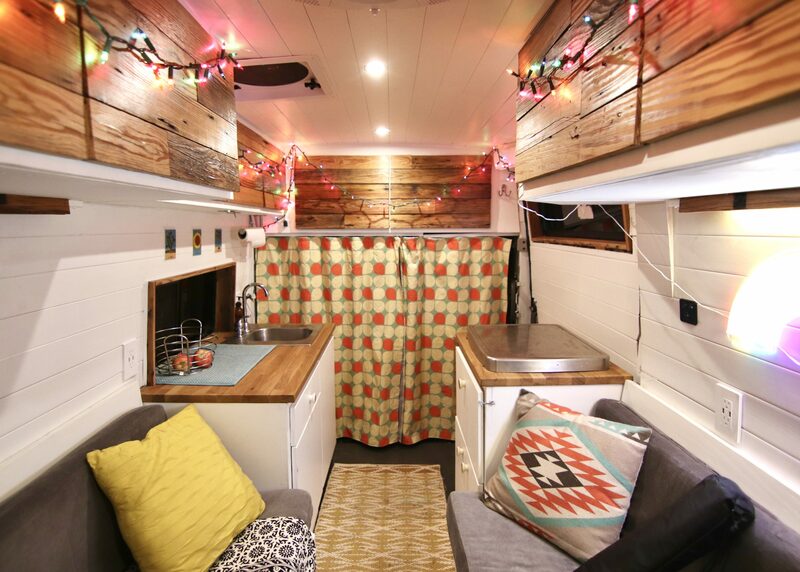 Check out the entire post on the Tiny House, Tiny Footprint blog and at Vanlife Diaries! My first night solo in my van, I was terrified. I didn’t have any road trip travel skills and I didn’t know about resources like freecampsites.net or iOverlander. While trying to find a place to park for the night in a small town near a Colorado highway, fear got the best of me. Everywhere I considered parking looked potentially dangerous in the dark—a creepy old house or an abandoned trailer. I was certain that I was going to be abducted and never heard from again. I eventually settled on a parking spot by a streetlight. I triple checked my door locks and curled up in bed in a ball of worry. Vanlife is different in day-to-day living. It can be overwhelming to start an adventure with so many foreign terms and concepts—graywater, propane and boondocking. I’ve learned by doing new things, such as enhancing my power tool skills and troubleshooting electrical issues. I’ve become a pro at monitoring my water and propane consumption. I’m still honing my skills for finding good places to stealth park. And admittedly, I often resort to Walmart and urban camping much more often than I’d like to admit. That said, I’m taking baby steps. Today, I’m nervous to spend too much time without cell service. But, maybe in a few weeks, I’ll feel ready to go off-the-grid for a long period of time. This lifestyle comes with a steep learning curve.